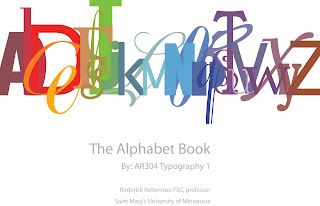 Typography class recently designed and printed a book about the alphabet. Each student designed pages for individual letters, or a letter and a character, such as &, !, or ? 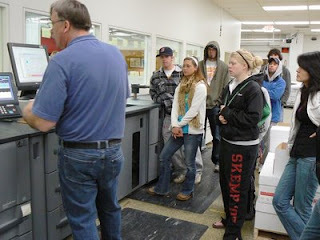 Printing and binding of the book was done at Saint Mary's Press, just across the parking lot from the art building. 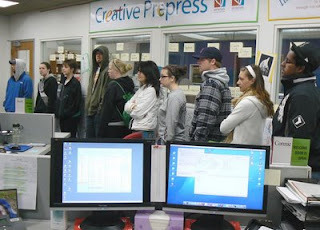 Saint Mary's Press now prints 'on demand', offering high quality printing and publication services to small batch projects. A great project enabling our graphic design students to experience the project from start to finish. The winning cover design was by Elizabeth Daugherty.